We have this COOL new My Creations product, and I think you are going to like it! 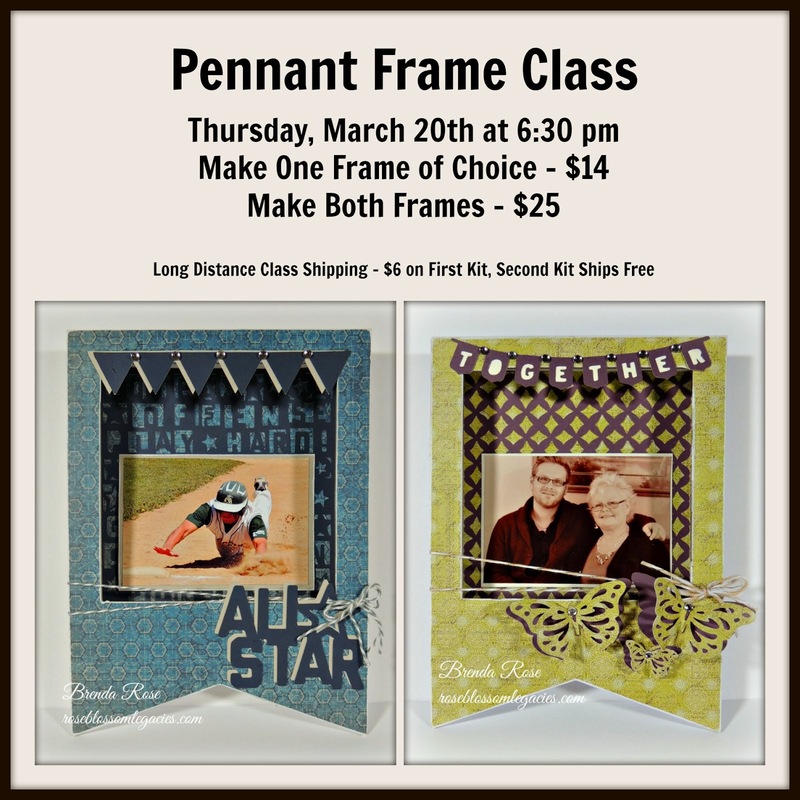 It's a shadow-box type frame called the Pennant Frame, and I am having a class in March. These frames measure 9" x 7", and the inset is 6" x 6". I've created this class so that you can complete them vertically as shown or you can flip them horizontally. Whichever is to your liking will work with this pattern! I've used the more masculine paper ProPlayer for one, and the more feminine Ivy Lane for the other. 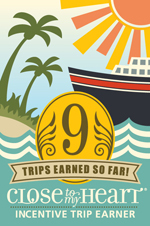 Overlays from Artbooking complement both frames along with die-cuts and banners. If you would like to make one frame, it is $14, and you can choose whichever you'd like. Or you can make both frames for $25! If you are long distance the cost for shipping is $6 whether you order one or two. Kits come pre-cut with full directions. If you would like to order this class, you can pay conveniently here with with PayPal by choosing the correct option from the drop down menu. Long distance classes will be shipped Monday, March 17th. Thank you! Great job, Brenda! Love both of these--you are so stinkin' talented! !